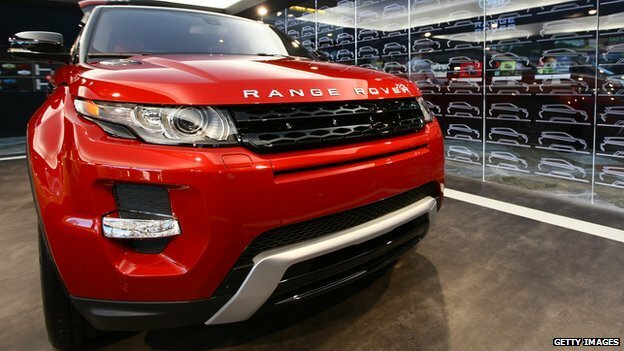 Jaguar Land Rover is recalling more than 36,000 sport utility vehicles (SUVs) in China after state television aired complaints over its gearboxes. The recall affects its Range Rover Evoque SUVs and the carmaker will extend the warranty period for the affected vehicles’ gearboxes. A CCTV show on Sunday had accused the UK carmaker of failing to respond to customer complaints over the gearboxes. Other major foreign car manufacturers were also targeted in the show. Nissan, Volkswagen and Mercedes-Benz’ joint ventures in China were accused of over-charging customers at its service outlets. All of them have apologised. In addition to the recall, Jaguar Land Rover also apologised to customers on its Sina Weibo blog, which is like China’s version of Twitter. Jaguar Land Rover recently invested in the world’s biggest car market, by opening its first £1bn Chinese production factory near Shanghai in October. Shares of the company’s Indian parent Tata Motors were down 1.5% in Mumbai. Chinese state broadcaster CCTV has targeted foreign companies on World Consumer Rights Day on March 15 in the past, with notable brands like Apple and McDonald’s facing criticism.